My wife and I recently went to a beautiful wedding of a family friend. It reminded us of our wedding day—the excitement and expectations of what this new journey would bring. Many of us have been there, right? We board the marriage train, lay out tracks which will take us toward our goals and dreams, and head off on the adventure. We are headed in one direction, enjoying the scenery, and then…boom! 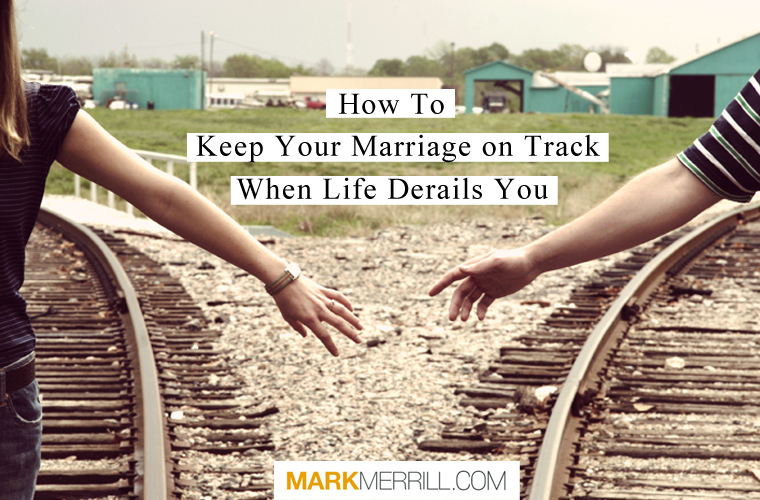 We get derailed…by sickness, job loss, or a miscarriage. Life and our expectations come to a complete halt. Listen to today’s episode as Susan and I discuss how to keep on track and respond when life derails you. Know That You Will Get Knocked off the Track. Learn How to Respond to Getting Knocked off the Track. How to Lay New Track Together.